I have these two cute little cousins who ADORE all things princess themed. These sisters have birthdays so close together, that they share their celebrations, and guess who gets to help decorate? ME! And this year, they wanted a princess party for two. My son Jack has an obsession with sharks, has even known for years that he would like to be a marine biologist when he grows up. 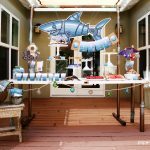 When I asked him what theme he would like this year, of course he asked for sharks – for the second time! When you are Irish, there is a ton of pressure to celebrate your heritage. Who am I kidding, you will get PINCHED if you don’t celebrate St. Patrick’s Day! 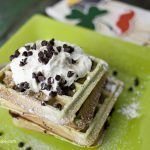 This is the ONLY reason we came up with a recipe for Mint Chocolate Chip Waffles, with whip cream… really. I’m totally serious. 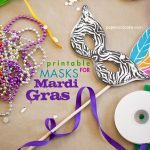 Have you ever wanted to celebrate Mardi Gras in New Orleans, but your kids just won’t let you out of the mini van? We have the kind of solution! New Year’s Eve for kids! Remember back when you were ringing in 1999? Well, times have certainly changed. 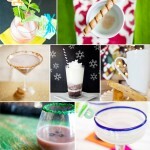 These days, you may need to get some ideas to celebrate with New Year’s Eve for kids party. And of course, countdown to midnight, eastern time. 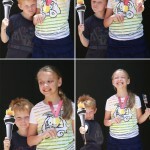 We are getting so excited for the Summer games! The gymnastics, the track and field, the swimming – oh the swimming! And we have just the thing to get you in the spirit too. 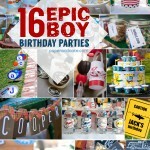 16 best boy party ideas! We here at Paper & Cake absolutely LOVE birthday parties. Creating them, designing them, throwing them, going to them, eating the cake served at them. ahem. We are excited to share with you our pick of the 16 best boy party ideas! 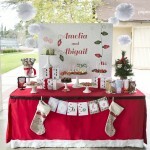 Christmas Party Decorations for a Birthday! I love it when my family asks me to help them with birthday parties. It’s what I do. 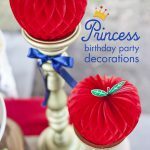 I also love it when the party theme is one that the birthday kid is obsessed with, and this party is the perfect example. Christmas Party Decorations were exactly what this birthday called for. Attention! 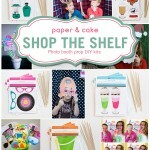 Our most popular and talked about products are now available in the shop the shelf section of our online shop. 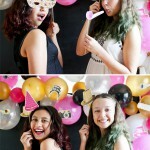 That’s right, our photo booth props are now being sold in easy-to-assemble DIY kits.